GCC spec Corolla from 2014 with a 4 cylinder engine. White sedan with beige interior. It has air conditioning and ABS. GCC spec 2013 Toyota featuring air conditioning, tuner/radio, power windows. White with beige interior. 2015 Toyota Corolla, priced at AED 33,000, with features such as keyless go, fog lights, bluetooth system. It has other color interior and is Grey/Silver. GCC spec. GCC spec Corolla from 2015 for AED 37,500 with a 4 cylinder engine. Grey/Silver sedan with beige interior. It has CD player and USB. Automatic, 16 inch wheels, CD player, airbags (front and side), grey interior, grey/silver exterior. 2015 Toyota Corolla with ABS, 15″ wheels and Airbags (front and side). Price reduced! Automatic GCC spec Toyota Corolla with 15 inch wheels, MP3 interface, parking sensor rear, grey interior, white exterior. 2015 Toyota Corolla, price AED 39,500, grey/silver sedan, grey on the inside with tuner/radio and airbags (front and side). 15″ wheels. Toyota Corolla with many features, including analog clock, power locks, USB. Black with beige interior. GCC spec Toyota Corolla, blue sedan with beige interior. It features cruise control, 15 inch wheels and airbags (front and side). Gold 2004 4 cylinder sedan. Beige interior. It has airbags (front and side) and tuner/radio. 2004 Toyota Corolla, price AED 24,000, white sedan, beige on the inside with airbags (front and side) and power windows. 15″ wheels. Toyota Corolla grey/silver sedan, black on the inside with CD player and power windows. 16″ wheels. Grey/Silver sedan with grey inside. It has air conditioning and ABS and has 15 inch wheels. GCC spec 2015 Toyota with Tuner/radio, 15″ wheels and CD player. Price reduced! Reduced price! White Toyota Corolla SE 2.0 from 2014 with beige interior. GCC spec Corolla from 2013 with a 4 cylinder engine. White sedan with other color interior. It has bluetooth system and airbags (front and side). Toyota Corolla for AED 34,000 with many features, including phone set, cruise control, airbags (front and side). Grey/Silver with silver interior. Imported spec Toyota Corolla with Airbags (front and side), 16″ wheels and Power windows. Price reduced! Imported spec 2014 Toyota with USB, 15″ wheels and DVD-player. Price reduced! Automatic, 18 inch wheels, power windows, air conditioning, black interior, white exterior. Price: AED 53,000. Automatic 2013 Toyota Corolla price AED 28,000, with 16 inch wheels, spoiler, airbags (front and side), black interior, blue exterior. Imported spec. 2017 Toyota Corolla price AED 34,000, with USB, front wheel drive, tuner/radio. It has black interior and is Black. Toyota Corolla for AED 29,500 with many features, including bluetooth system, airbags (front and side), alarm. Red with grey interior. Imported spec Toyota Corolla with Front wheel drive, 15″ wheels and AUX audio in. Price reduced! GCC spec blue sedan, grey interior with tuner/radio, ABS and a 4 cylinder engine. Reduced price! Grey/Silver Toyota Corolla XLI 1.8 from 2013 with beige interior. 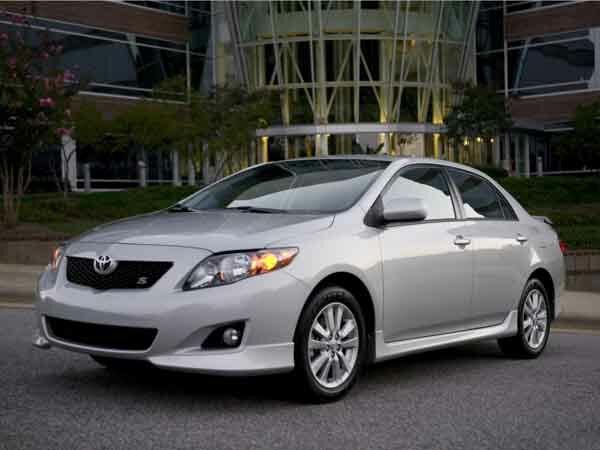 What are our customers saying about the new and used Toyota Corolla? Raju - My 2011 pre owned Toyota Corolla is just the best car ever! It may be an American import but it’s reliable, practical and it’s super easy to maintain. It may not be the best-looking sedan out there, but it gets me from A to B and I love it! Pros: Fuel efficiency, affordable and practical. Rohit - Bought my 2008 Toyota Corolla LE second hand for a great price in Dubai, and while it’s a great car, there is an odd noise that I can’t figure out where it is coming from. Aside from that everything else is pretty much perfect. Pros: Gets me from A to B, great fuel economy and it’s easy to park. Cons: Loose trim bits and weird squeak inside the cabin. Kate - Bought my 2015 Toyota Corolla SE+ brand new and had had 0 problems to date. Fuel economy is great, and it’s got lots of room inside thanks to the split folding back seats. Pros: Lots of space for big shopping trips, cheap fuel and practical. With a displacement of under 2-litres and a four-cylinder bank, burning massive quantities of fuel is not something you need to worry about. There is an old saying that goes around saying you can find spare parts for a Toyota Corolla in a grocery shop giving the impression that it’s cheap to maintain, which is 100% accurate. Following on from number 2, not only is it easy to maintain, trips to the mechanic are few and far between. Due to its immense popularity around the world, selling a Corolla is like saying the sun will be shining in the UAE. Someone will buy the Corolla from you. You can even sell it overseas if you are willing to export. For a Japanese sedan, it’s very spacious inside. Of course, it’s no Land Cruiser, but it does fit five adults comfortably. The Toyota Corolla dates back all the way to 1966 which means it’s 50 years old and still going strong. Topping many top selling vehicle charts around the world, the Corolla is a mainstay in the auto industry and the hearts of many. It’s so popular in fact that it’s beaten the sales record of the Volkswagen Beetle and has sold over 40 million units worldwide. WOW, it’s no wonder they can be found driving around the world. There are a few who dare take on the mighty Corolla including the Nissan Tiida, Honda Civic and Mitsubishi Lancer. During this time, if you wanted a sedan it was either a Japanese one or a German one. With the latter being overpriced for many, the Corolla stepped forward and dominated. In it’s highest trim leather seats and a DVD player were available as extras amongst the standard radio, air conditioning. In lower trim fabric seats, manual windows and a cassette player were standard. Two body styles were on offer including the iconic sedan that we all know and love and the station wagon. Two engine choices can be found under the bonnet, either a 1.3 or 1.8-litre four cylinder motor. Both could be paired to a 5-speed manual or 4-speed automatic. Rated anywhere between 86 and 136 horsepower, the cars moved to a top speed of 200 km/h with the 1.8-litre motor. 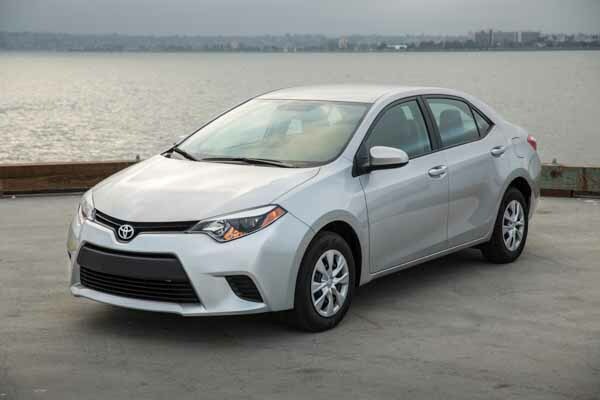 Still riding on a high and dominating the sedan market worldwide, Toyota did the right thing and updated the Toyota Corolla with a brand new look all around. 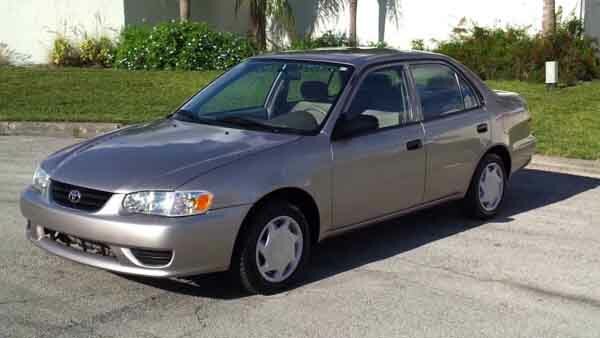 Once again, basic Corolla’s came with manual windows, air-con, radio tuner and 15-inch rims. Depending on what trim you would choose from i.e., XLi, LE or SE, a variety of optional extras can be attached. Parking sensors, CD player, keyless entry, ABS brakes and other tid bits are available. In it’s highest trim, Bluetooth, cruise control, 16-inch alloys, sunroof and other options could be tacked on for those wanting more. The 1.3-litre motor was dropped in favour for a 1.6-litre engine instead. Joining alongside the 1.8-litre, power is sent to the front wheels via a 5-speed manual or 4-speed automatic transmission this time with anywhere between 107 or 130 horsepower is generated to propel the cars to a top speed of 195 km/h. 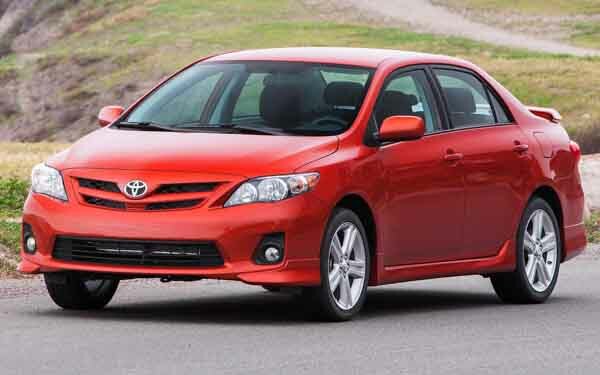 2011 introduced us to a slightly modified front, and rear ended Toyota Corolla. Apart from that everything remains identical to the last few years with all the options and trim levels. Drivetrain wise, the 5-speed manual has been dropped in favour of a 6-speed manual transmission instead. Towards the end of the 2013 model year, Toyota got a little worried with their outdated Corolla even though they didn’t have much to worry about. They completely updated the vehicle in 2014 across the board in all trim levels. In Saudi Arabia, three trims are on offer, XLi trim is the most basic with 15-inch steel rims, black front grille, keyless entry and a stereo system with AUX and USB inputs. GLi trim either come with a 1.6 or 2.0-litre motor adds 16-inch rims, rear parking sensors, chrome grille, keyless start, Bluetooth and everything the XLi has. Here in the UAE, S trim comes is basically the XLi trim, SE 1.6 adds a small dose of extra horsepower and also gains keyless entry and power windows. SE+ 1.6 receives all that and the option of leather interior, keyless start, LED running lights, chrome grille, LCD screen and an enhanced speaker system. 2.0 SE is identical to the 1.6 apart from the 15-inch alloys replacing the steel rims and an upgraded sound system, whereas 2.0 SE+ models receive all the 1.6 SE+ options along with cruise control, sunroof and a few more extras. There is also an additional Sport trim which adds a rear spoiler. All models come standard with airbags, ABS Brakes and Brake assist. Out with the 1.8, in with the 2.0. Coupled with a four-speed automatic transmission 143 horsepower is sent to the front wheels and launches the car from 0-100 km/h in around 9.7 seconds. The 1.6-litre option is still available paired to either a 6-speed manual or 4-speed automatic transmission.